North Carolina’s Charlotte Observer recently unveiled a six-part investigative series that scrutinized the state’s poultry industry, where workers are often intimidated into not reporting workplace injuries or seeking workers’ compensation for their chronic work-related health problems. Working in poultry plants and factories in North Carolina comes with a high risk of injury – cuts and burns from machinery paired with chronic injuries from repetitive movements are especially dangerous for workers’ hands and fingers. Employees in animal processing plants work in the #2 most dangerous workplace in the country. Cecilia Alverez is one of many examples of workplace injury injustice. Alverez was employed by House of Raeford, a privately owned factory that is one of the top 10 producers of turkey in the nation. Working in a plant located west of Fayetteville, Alverez found herself packing 300 turkey legs an hour and suffering from chronic pain and numbness in her hands from the repetitive motions she was required to make each day. After two different doctors concluded that Alverez suffered from carpal tunnel syndrome, she informed her employer and produced a note from her surgeon regulating her to lighten her workload. Instead of moving Alverez’s position and modifing her work, the factory fired her. Luckily the NC Industrial Commission agreed with the worker and House of Raeford settled its case privately with Alverez. Ernestina Ruiz is another example of wrongly treated injured workers at poultry plants in the North Carolina area. Ruiz suffered from chronic hand and wrist pain from de-boning thousands of chicken breasts each day. Although she reported her injuries to her supervisor multiple times, she was placated with pain relievers and bandages instead of a long-term solution. As time passed, her workplace injuries became worse, ending in a large lump forming on her left hand that she had removed by a private surgeon. All in all, more than 30 workers reported that their health concerns were ignored or minimized by House of Raeford health professionals, with a doctor in near-by Newbury reporting that he had seen over one thousand poultry workers in his time suffering from chronic workplace injuries caused by repetitive movements. 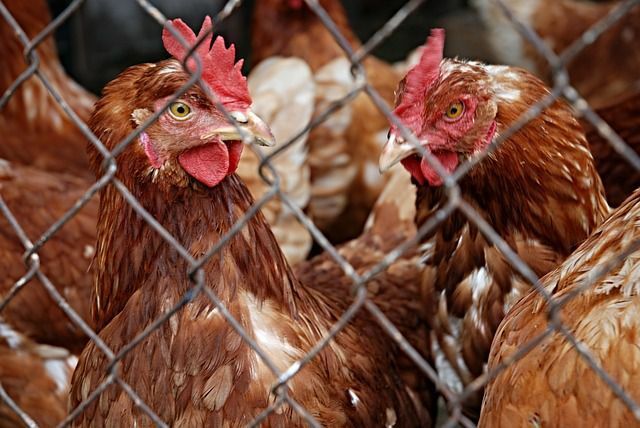 Although the N.C. Department of Labor (NCDOL) Occupational Safety and Health Division concluded in 2000 that company policies inhibited workers from seeking medical attention for their workplace injuries, it seems like the problems and issues related to the poultry industry in North Carolina have continued to the present day.